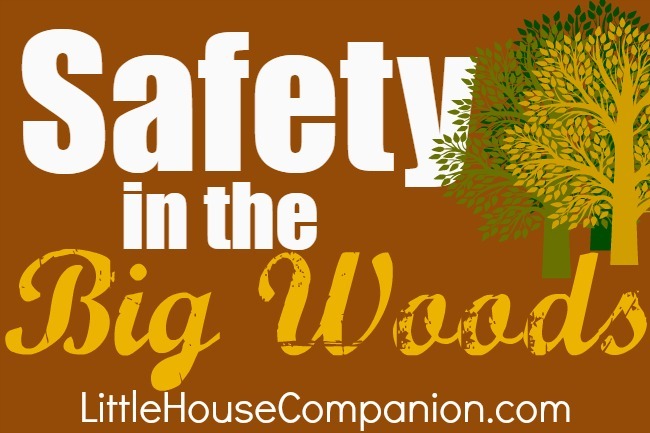 In the Big Woods of Wisconsin, with no neighbors nearby, the Ingalls family relied upon a few things to keep them safe. Wild animals threatened their safety and security throughout the year. The sturdy cabin and barn were both made from heavy logs. Even strong animals such as a bear could only scratch at the wooden logs. Panthers and wolves also threatened the Ingalls family and their livestock on occasion but their sturdy home in the woods kept them safe, especially at night. Pa's gun not only fed the family meat like venison, bear, birds, and small game, it also protected them against wild animals. It was an absolute necessity for the family since they couldn't remain in the safety of the cabin all day. When Pa went spent the day walking or riding to a neighbor's home or to town, he kept his trusty rifle with him for protection. The good and faithful bulldog would warn the family of dangerous animals and frighten them away with his barks. Deer meant no harm to the family, but Jack kept deer from the garden when they would jump the fence to eat. Deer and other hungry animals could eat the family's garden in a short time, if left unprotected. If this happened, the Ingalls family would not have enough vegetables stored for winter. Jack would bark during the night to scare the animals away. Does your family need protection from wild animals?